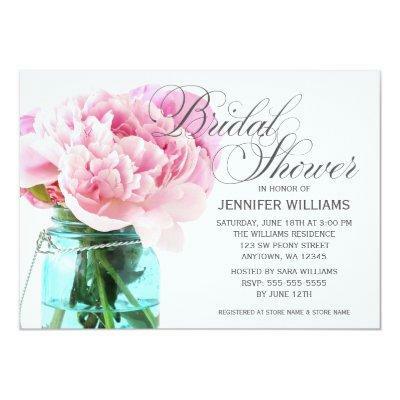 Elegant pink Peonies bridal shower invitations. Beautiful soft pink Peony flowers in a blue mason jar. Design also features a romantic script font. Easily personalize with your event details.